Military First Aid Manual. First aid information is a must – get training before you need it – use this manual for reference. Being able to preserve crops to be able to provide for yourself and your family long after the growing season is over is important. This guide will help with that. The author uses straightforward language and careful instructions to explain how to: examine patients; diagnose common dental problems; make and use dental equipment; use local anesthetics; place fillings; and remove teeth. While this is certainly not a manual that would stand alone in most persons emergency/disaster library, it is an absolutely necessary resource if you expect to handle any type of trauma where immediate comprehensive medical care is not available. This is not an “all knowing” gardening book – however it provides a lot of information to the “urban gardener” before or after TSHTF. Best to get the experience and knowledge of gardening NOW rather than later. Combat techniques covered in the manual which may be very valuable in a “Roadwarrior”-type world. A massive resource of information that much of it has been lost over the past 203 generations. From Angling to Knitting – its here. 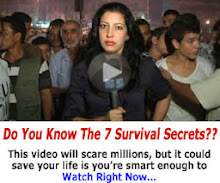 From Amazon.com: This manual has been written to help you acquire survival skills. It tells you how to travel, find water and food, shelter yourself from the weather and care for yourself if you become sick or injured. This information is first treated generally and then applied specifically to such special areas as the Arctic, the desert, the jungle and the ocean.1970 Military Issue Manual. General Introduction and Individual and Group Survival Orientation Navigation, Finding Water In All Parts of The Globe. How To Obtain Food, Start a Fire and much more! 1 Comment on "Top 10 Survival Downloads You Should Have"